On 31 January 2015, Liberate Tate threw £240,000 of specially designed BP/Tate money from the Members Room inside Tate Britain, down into the main entrance of the galleries branded The BP Walk Through British Art. 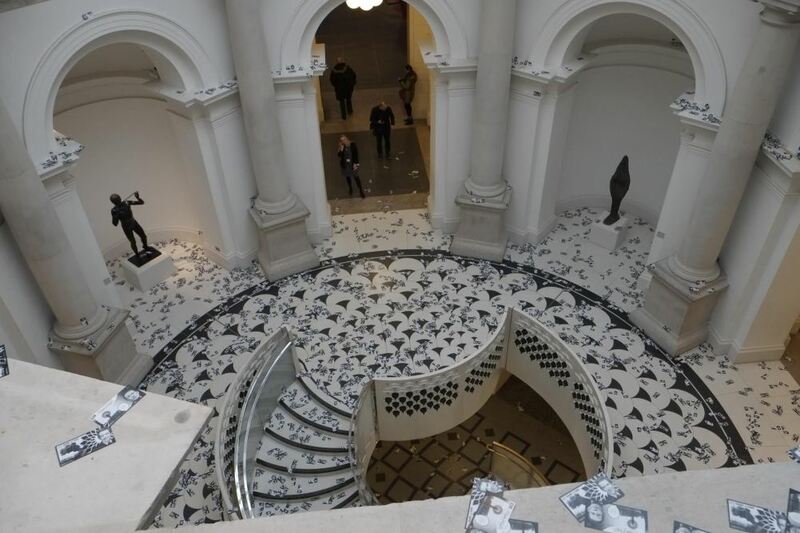 The performance, titled ‘The Reveal’ was carried out days after Tate had been forced by the British courts to reveal that the amount of sponsorship money it received from BP was an average of £240,000 a year between 1990 and 2006. Shortly after 10am, seven people inside the Tate Britain Members Room, clothed entirely in black encircled the upper rotunda in the centre of the room. 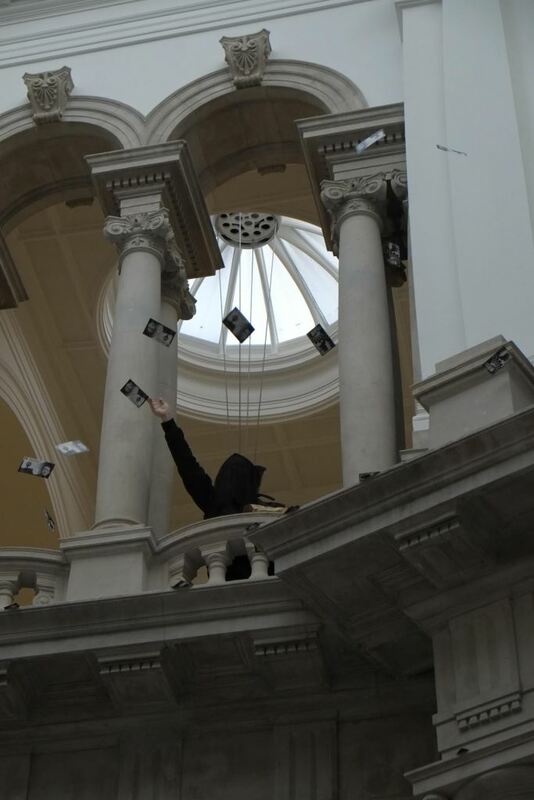 After donning black veils, the performers began to slowly throw bank notes into the central space, for them to flutter down into the main entrance hall. After all £240,000 had been thrown, the performers silently left the building. 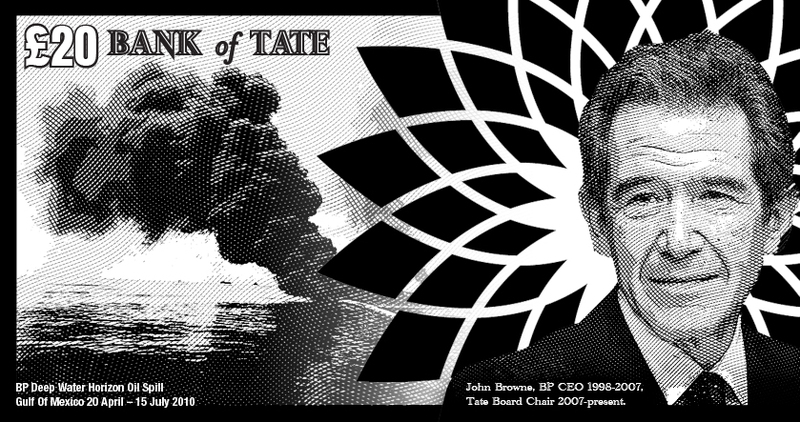 The bank notes featured the head of Tate director Sir Nicholas Serota on one side, and the former BP CEO and Chair of Tate Trustees John Browne on the other. 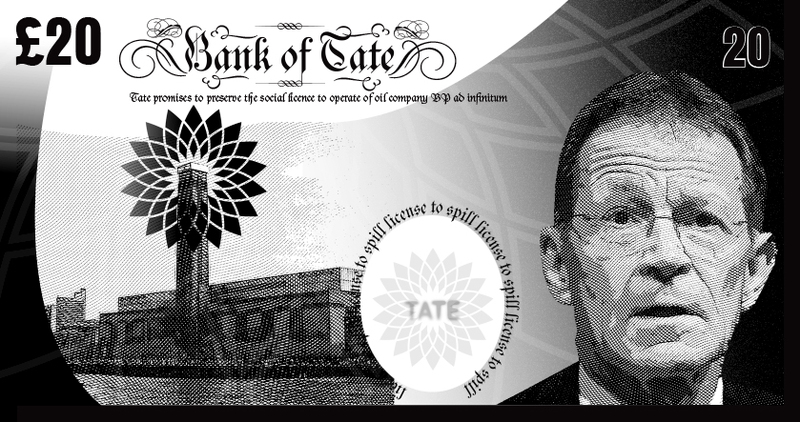 The ‘Bank of Tate’ notes each state: ‘Tate promises to preserve the social licence to operate of oil company BP’.